Why is it now showing up in Setup>Report Types? 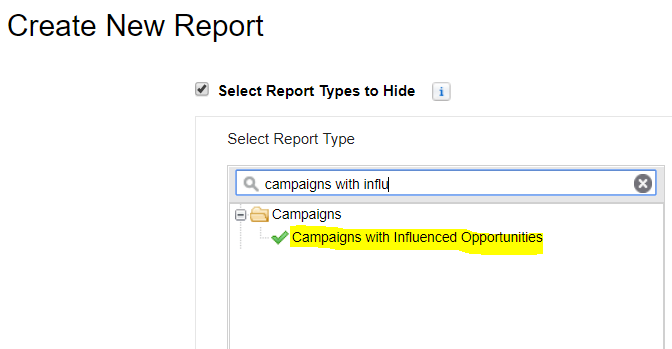 It's a standard report type, created when you enable Campaign Influence. It cannot be customized. The report type you are trying to find is a Standard report type which means it is created by Salesforce itself which can not be modified. 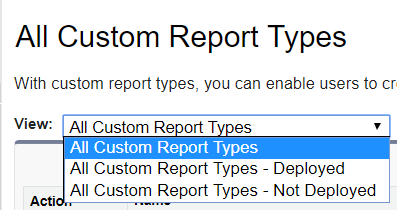 In Setup>Report-type, you can only create/modify Custom report types. (Clearly mentioned on Header) Would you have any specific requirement to achieve, please elaborate so we can help you out to achieve it? Not the answer you're looking for? Browse other questions tagged custom-report-type or ask your own question.